DrupalCamp London 2015 comes to City for the third successive year. DrupalCamp London 2015 will take place at City University London from 27th February to 1st March. The event, which is being held at City for the third successive year, is expected to attract well over 600 open source content management system enthusiasts from various countries around the world. Drupal runs over a million web sites with users such as the Cabinet Office, the World Economic Forum, the Grammy Awards, Oxford University and The Economist. Dries Buytaert began the Drupal software as a message board in 1999 in Belgium. Ben Wilding, managing director of Cameron and Wilding Ltd, a Drupal CMS specialist and DrupalCamp London 2015 organising committee member said City students would find the event of great value to them. He said: "From February 27th to March 1st, some of the biggest names and most talented developers from the Drupal content management world will be descending on City to share their knowledge and open up doors to fantastic careers in design, development, project management and business analysis. This year will see the release of Drupal 8 so it will be an ideal time for students to engage with the Drupal community and begin to learn a tool that will open up many job opportunities." 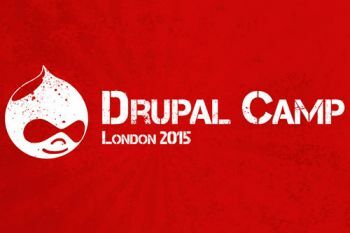 "We at City are once again delighted to be hosting DrupalCamp London 2015. The Drupal community has for the third time selected our facilities, students, academics and taken advantage of our proximity to Tech City and the digital industries. We are hopeful that our students will exploit the valuable opportunity offered by a global community such as Drupal to gain exposure to leading practitioners in the field of open source software development." For more in information and registration visit the DrupalCamp London 2015 homepage.